Today’s giveaway is from Edor, a swoonworthy California based jewelry boutique that I truly adore! All of Edor's designs are beautifully understated and full of minimalistic charm while in tune with the modern style. Cindy, the owner hopes that every piece she creates will make the wearer feel like their true self. Today, Cindy is offering one lucky person a chance to win one of her designs. The awesome part: the winner can choose their favourite piece from her entire shop. As for me, I'm swooning over this balance necklace and the triangle and dot necklace is on my Christmas wish list. Also, those studs would make the perfect everyday earrings and the personalized dash bracelet would be the most heartfelt gift to a friend or a mom. Update: The winner is Janee. I daily follow Express-O on Blogloving and via email. I am part of Diana's FB page. Nice jewellery shop. I would wear everything. I like the personalized gold bar necklace and the gold rays necklaces best. i like the slice initial necklace. thanks! already like them on fb. and follow you on pinterest. thanks! I follow edor on fb, my name on fb is Camille fsst. i'm sorry for my english, i'm french !! I'd love one of those dash bracelets! Love everything tho! The Infinitum necklace is my favorite! Thanks for the opportunity! I like the Young at Heart necklace. Hi ! I'm a fan of Edor's. Every piece is elegant, minimal and chic. I love the gold bar necklace and the little disc necklace. I follow you. I love the two hearts necklace, it's like a little bowtie! I like Edor on FB. I follow Edor on Pinterest. I follow Edor on Twitter. I adore the Diamond and dot necklace!!! I am a follower on cindy on twitter. I like/follow edor on facebook. I follow Cindy on Pinterest. I follow Cindy on twitter! I follow exPress-o on Pinterest. I receive the Edor newsletter! 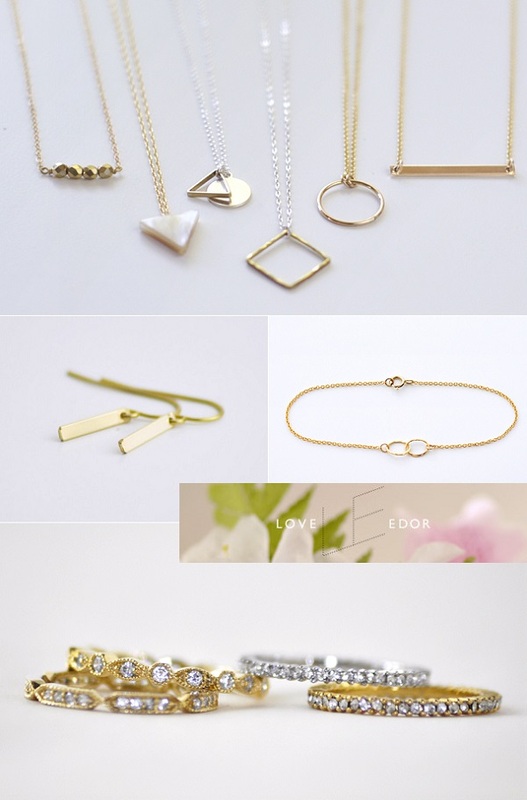 the dash necklaces are so simple and gorgeous :) I follow you on bloglovin'. I really like the Diamond and Dot brass necklace! A beautiful piece. I like Edor on Facebook! I follow Cindy in Pintrest! I follow exPress-o on Instagram! I'm in the exPress-o group on Facebook! I follow Edor on twitter! I follow exPress-O on Pinterest! I'm signed up for the Edor newsletter! My favorite is the Jager necklace - so lovely. Thanks for the giveaway! I like Edor on FB (Lauren Rochelle). I follow Cindy on Pinterest! I follow exPress-o on twitter (@elephantonawire)! Liked Edor on Facebook as Irina Dubinskaya-Gnatiuk. Following Cindy on Pinterest as Irina Dubinskaya-Gnatiuk. Following Edor on Twitter as @IrinaZhoze. So many great things to choose from! I really like the North Star locket, but also love so many of the earrings. Thanks for the chance! Lovve those simple bar earrings. Love everything Edor, adore the Silver Bar Hammered necklace! I'm torn between the crescent necklace and the north star pendant. Just followed Cindy on Pinterest! Love the personalised silver bar necklace. Oh WOW. I LOVE every single piece. The Gold Arc Necklace is definitely my favorite, so gourgeous! I have followed u both on Pinterest, and am following your blog. Love edor and have purchased from there before! I would love the sosie necklace in silver to wear this holiday season! I love the tri-necklace! All of the jewelry is just gorgeous. I love the Satellite necklace. Elegant and understated! My kind of jewelry. Thank you again for introducing us to another brilliant jewelry artist. My favorite is the gold or silver bar necklace but there are several pieces I have just added to my wishlist. Thank you for the chance. I now follow Cindy on Pinterest. i love the diagon necklace in gold & the slice initial necklace! so pretty! My favorite piece is the Diamond and Dot brass necklace! Are those rings in the 4th from the bottom picture? I couldn't find them in her page but those are my favorites! I follow Edor on Pinterest! I'm in the exPress-o facebook group! I get the Edor newsletter! I love Edor! Some of my favorite pieces are Edor. I would LOVE the slice necklace. So classy. I'm a follower of Express-o on Pinterest! oh my, these are all so lovely! How to choose just one? I really like the Balance Necklace, the Triangle and Dot necklaces, and the XL bar necklace. The Empyrean Necklace is lovely, too. I'm loving the gold bar hammered necklace! I'm torn between the disc initial necklaces and the solo clear gold necklace....So pretty and feminine. I like the Cherish necklace the best! I follow Cindy on Pinterest (http://pinterest.com/shala_darkstone - Madeline B). I follow exPress-o on Instagram (shala6). I follow exPress-o on Pinterest (http://pinterest.com/shala_darkstone - Madeline B). I really like the Silver Bar Necklace. It's beautiful!